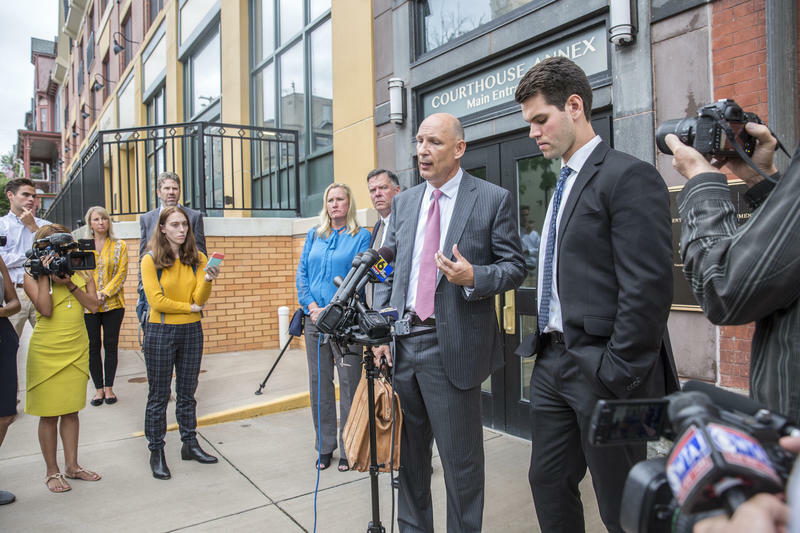 Philip Masorti (second from right) spoke to reporters outside the courthouse after the sentencing of his client, Ryan Burke (right), on Tuesday. Burke originally faced other charges including involuntary manslaughter, aggravated assault and simple assault, but the Attorney General’s office withdrew those before the preliminary hearing in March after it took over the case. A judge also cleared the charges of reckless endangerment and furnishing against Burke in May. In his victim impact statement, Jim Piazza, the father of Tim, said he was pleased that Burke stepped up but questioned his remorse. “Our family is incomplete and it will be forever,” Piazza said. “We keep trying to fill the void but there is no way to replace what we lost.” He asked for more punitive anti-hazing laws to be passed. In March, state Senate Majority Leader Jake Corman proposed an anti-hazing bill that would toughen hazing penalties in Pennsylvania. Although the bill wouldn’t apply to this case, under the proposal, hazing resulting in serious bodily injury or death would be a third-degree felony. It’s currently a third-degree misdemeanor. The bill passed the state Senate unanimously but has been tabled in the House Judiciary Committee. 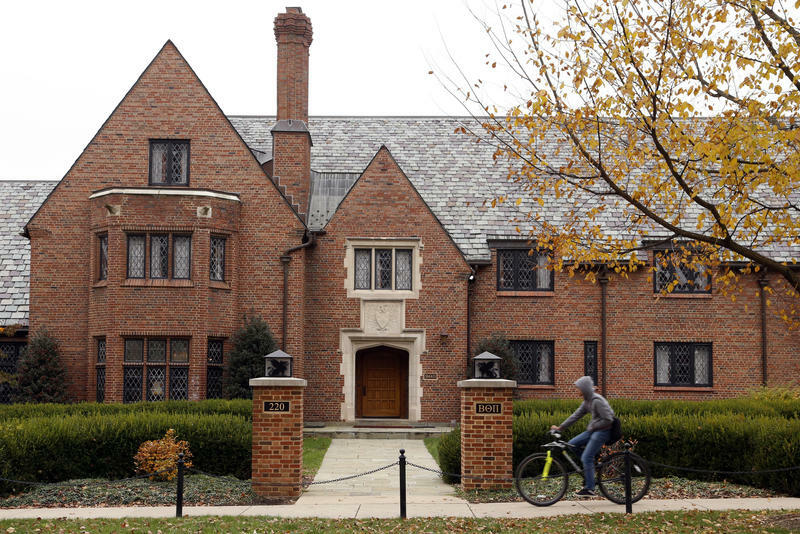 Nearly two dozen other former fraternity brothers are scheduled to go on trial in February 2019. 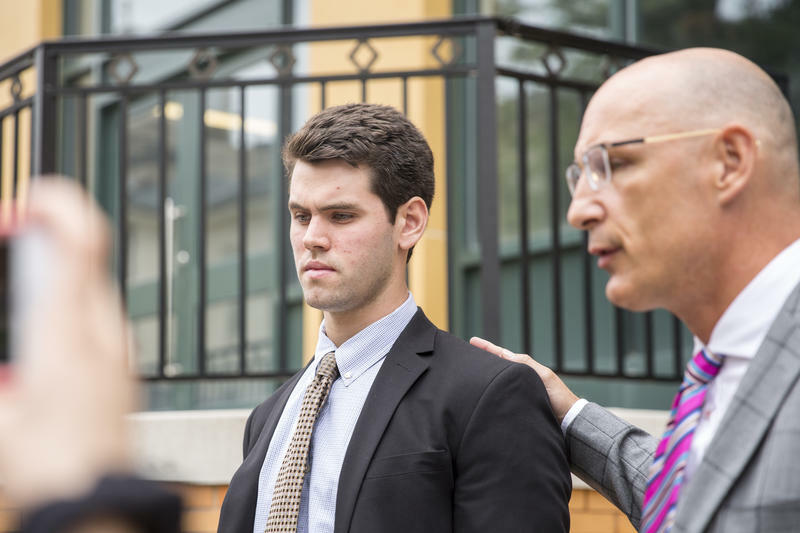 One of the former fraternity members charged in relation to the hazing death of Penn State student Timothy Piazza formally entered a guilty plea on Wednesday. It’s the first guilty plea in the case. Appearing in the Centre County courthouse for the first time in this case, Ryan Burke pleaded guilty to all nine charges against him. A Pennsylvania judge says there is enough evidence to send hazing and alcohol-related criminal charges to county court for trial against 11 more members of a Penn State fraternity over the death of a pledge last year. Judge Steven Lachman on Monday also dismissed allegations that a member of Beta Theta Pi had erased basement security video to thwart investigators. He's dismissing all reckless endangerment counts the defendants had faced and pared down other counts.